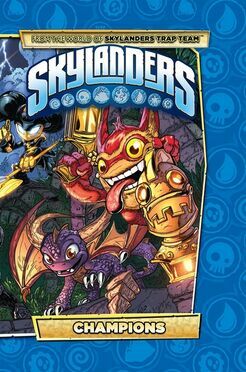 Several users have been requesting for a topic of the Skylanders books that are currently released and set to be released in the near future. Here is that topic. 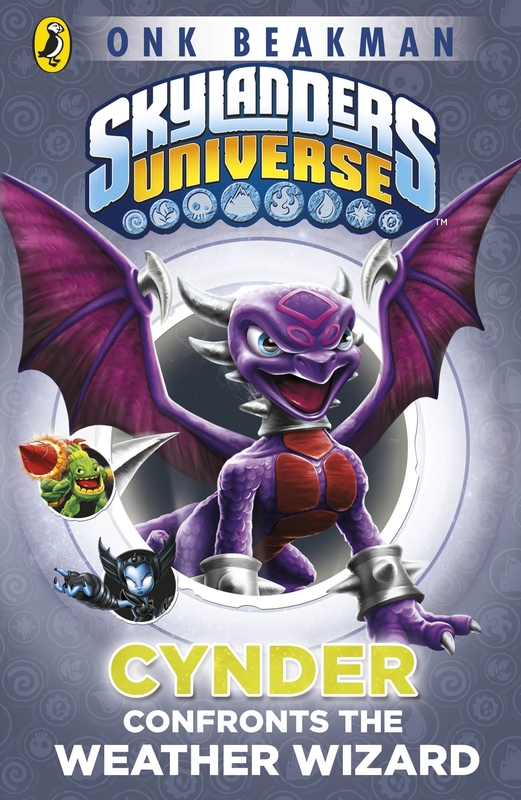 Info: This activity book features over 1,000 stickers, as well as detailed biographies and descriptions of the Skylanders from Skylanders: Spyro's Adventure. Released on August 2, 2012. Info: The first annual of Skylanders: Spyro's Adventure, which includes short stories, activities, information, and trivia. Released on August 2, 2012. 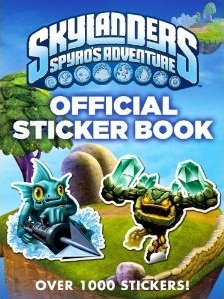 Info: A full-color sticker activity book, based on the world of the Skylanders Spyro's Adventure, featuring 16 pages of adventure packed with puzzles and games and has four pages of full-color stickers. Released on September 6, 2012. Info: Do you have what it takes to be a Portal Master? Prove your credentials by helping the Skylanders through this collection of fun activities. Featuring the incredible new Skylanders Giants, plus stickers of your favourite Skylanders characters. Info: Think you know your Zook from your Zap and your Spell Punk from your Squiddler? Now's your chance to prove it with this cracking compendium of Skylanders quizzes and activities. Impress your friends! Impress your enemies! Impress people you're not really bothered about either way! You get the idea. Info: This 64-page, paper-over-board activity book is perfect to take your Skylanders Universe adventures on the go. Originally set to be released on May 2, 2013. Info: This 64-page activity book is perfect to take your Skylanders Universe adventures on the go. Info: When the heroic Skylanders see their world faced with a dangerous threat, they call upon a new ally to help them to victory: you! 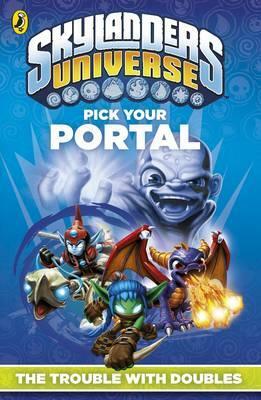 In this first ever Skylanders 'Pick Your Path'-style adventure, you choose the story and decide which of the Skylanders will leap aboard the Portal of Power to seek out victory. Set to be released on September 5, 2013. Info: Join Master Eon, Spyro and the rest of the Skylanders in this jam-packed Official Annual. Crammed with stories, activities, comics, features and trivia, this is the number one stocking-filler for the budding young Portal Master in your life. Set to be released August 1, 2013. 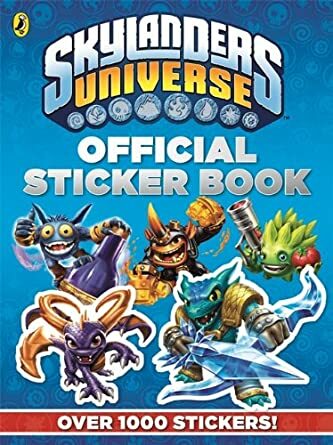 Info: This second Skylanders Official Sticker Book includes bios of all the latest characters, fun activities starring all your favourite characters and over 1,000 stickers! 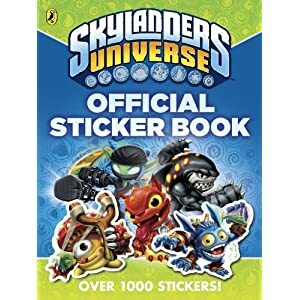 Based on the hit video game series of the same name, this fun-packed sticker book is a must-have for every Skylanders fan. Set to be released September 5, 2013. Info: This 64-page sticker activity book includes 4 sheets of stickers and a page of perforated cards. Set to be released October 17, 2013. Info: Skylanders is the brand new video game and toy experience. 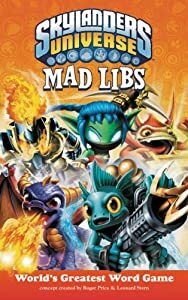 Skylanders Mad Libs features 21 original stories for only $3.99. Info: Skylanders Universe Ultimate Sticker Collection features over 1,000 reusable stickers, so you'll always have fun exploring the magical world of Skylanders. 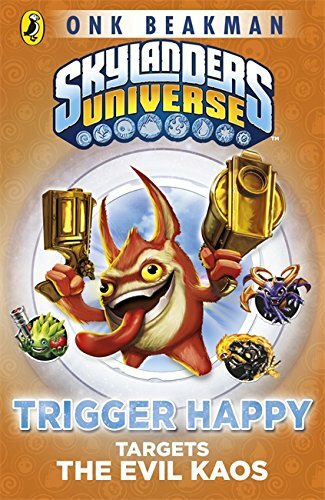 This bumper sticker book includes all of your favourite Skylanders characters, from Master Eon and Spyro to Terrafin, Stealth Elf and many more, so hop through the Portal of Power® and meet them all. Colourful scenes are waiting for you to add stickers as you create your own Skylanders stories, or simply follow the paths of the heroes and villains that make up the many different realms of the game. 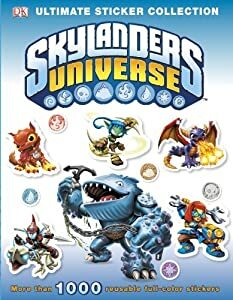 Also featuring characters and scenes from the new game, Skylanders Giants, Skylanders Universe Ultimate Sticker Collection is perfect for fans of this fantastic game. Info: he Skylanders Ultimate Search-and-Find will keep you busy for hours! Oh no! Something terrible has happened! The evil Kaos has cast a wicked spell upon the Portals of Power, and has used them to scatter Master Eon's most cherished magical instruments across the furthest corners of Skylands. Kaos has sent his minions out to gather the lost items - so you must find them first! Based on the smash-hit Skylanders video games, this fun-packed adventure combines detailed mazes with search-and-find activities to send the budding young Portal Master on an incredible quest. Each crowded scene includes a new collection of characters and items to spot, including the Skylanders themselves. So keep your eyes peeled - all of Skylands is depending on you! Set to be released February 2014. Info:This box set is the perfect holiday gift for any Skylanders fan. It contains three books, a 3-D poster with glasses, and stickers—all for just $16.99! 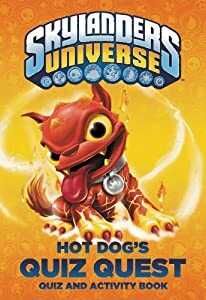 Titles include: Skylanders Universe Mad Libs, Mask of Power 1: Spyro versus the Mega Monsters (novel), and a paperback edition of Molten Hot Dog's Quiz Quest. Info: In Unstoppable, young Portal Masters get their chance to guide the heroes of Skylanders SWAP Force through a collection of fun puzzles.Use your stickers to complete the activities and help the Skylanders to victory. 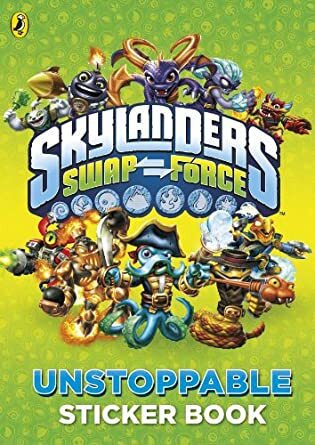 SWAP Force characters such as Blast Zone and Wash Buckler are joined by familiar favourites from the fantastical Skylanders Universe.Unstoppable is based on the smash-hit third Skylanders video game, Skylanders SWAP Force. Info: This third Skylanders Official Sticker Book includes up-to-date character bios, fun activities and over 1,000 stickers! Based on the hit video game series of the same name, this fun-packed sticker book is a must-have for Portal Masters everywhere. Info: Comic, story and activity come together to form one incredible adventure for the Skylanders in Time Twisters. Join Chill, Hot Head, Wash Buckler and other Skylanders heroes as they embark upon a quest through time itself to defeat the wicked Kaos. 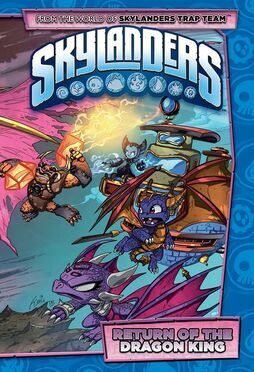 This brand new story allows readers to immerse themselves even further into the world of the Skylanders, by completing fun puzzles to discover hidden elements of the plot. 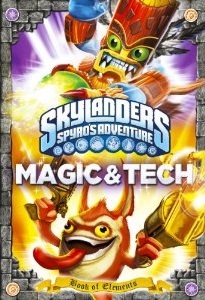 Info: This book features the Skylanders of the Magic and Tech elements as well as activities. Released on September 6, 2012. 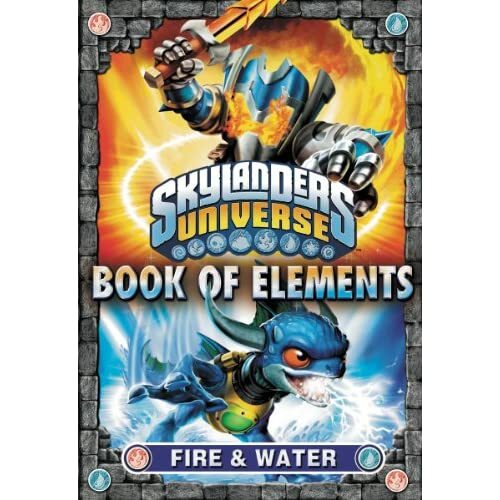 Info: Fans can continue their exploration into the world of Skylanders with this second title in the Book of Elements series: Fire & Water. 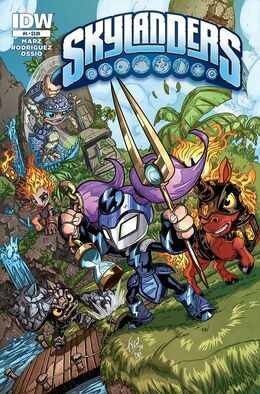 These 80-page handbooks focus on all the elemental Skylander tribes and their unique and mystical characters. 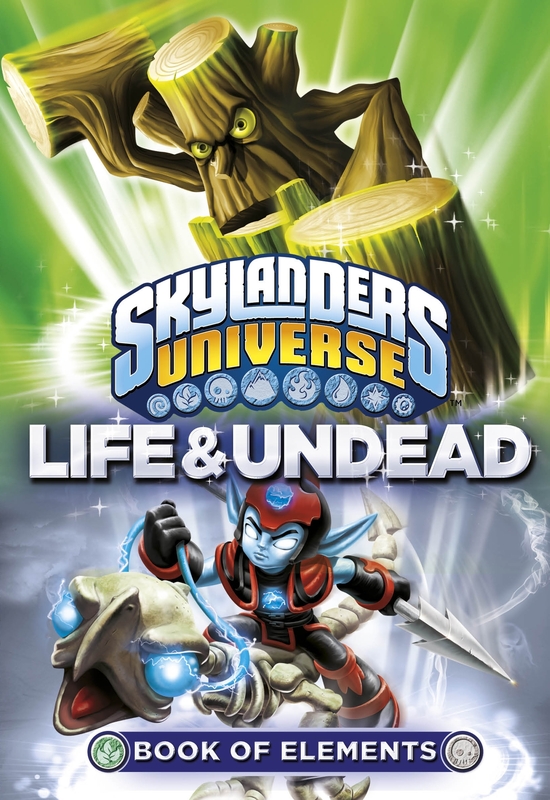 Info: Discover the hidden secrets of Life and Undead: two of the vital Elements that make up the incredible world of the Skylanders. Featuring stories, trivia and bags of information on Skylands heroes including Tree Rex, Fright Rider, Stealth Elf and Cynder. Set to be released on June 2013. 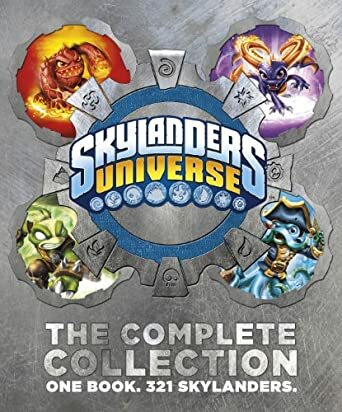 Skylanders Universe: The Complete Collection: One Book. Every Skylander. 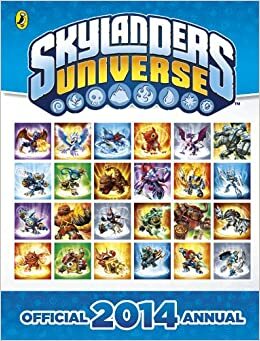 Info: Skylanders Universe: The Complete Collection contains every single Skylander in one book! For the first time ever, Skylanders fans can look up their heroes from all three smash-hit video games, including SWAP Force! Includes character bios, battle cries and all 256 possible SWAP Force character combinations. Info: Hugo and Flynn are your guides to the hidden secrets of Air and Earth: two of the vital Elements that make up the incredible world of the Skylanders. Featuring stories, trivia and bags of information on Skylands heroes including Free Ranger, Pop Thorn, Rubble Rouser and Slobber Tooth. Info: The Complete Collection is a comprehensive guide to all the Skylanders characters from Spyro’s Adventure, Giants¸ SWAP Force, and the upcoming Trap Team game. 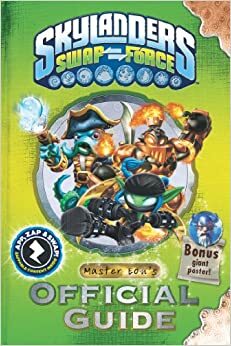 Summary: Fans of the Skylanders games can learn everything there is to know about Kaos and his crew of villains in this 80-page handbook. 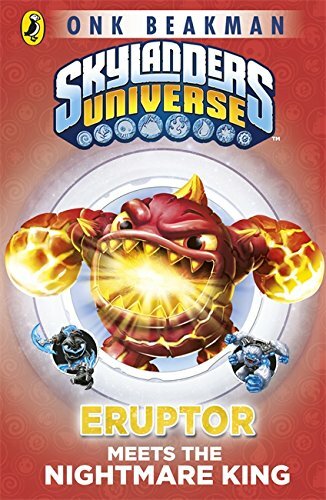 This book follows the popular Book of Elements series, which explored the magical Elements that give Skylanders their power. Now, readers will find out what makes Kaos tick, and use their new knowledge to stand against his armies in battle. 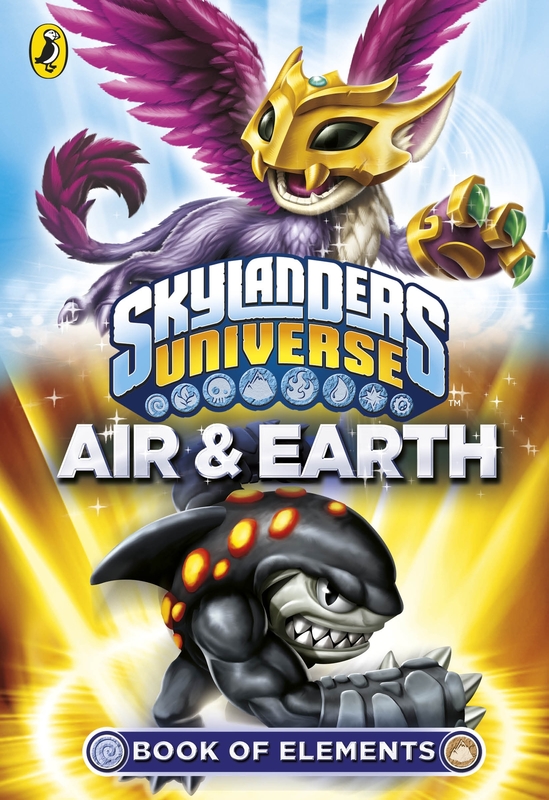 This Level 3 easy-to-read title features an original, illustrated story set in the world of the exciting new video game, Skylanders: Giants. Summary: The new Mini Skylanders are just as brave and determined as their big counterparts, but they still have a lot to learn! The story follows the Minis as they train at Skylanders Academy with some of the best teachers in all of Skylands. This easy Level 3 reader is perfect for younger fans of the Skylanders franchise. Summary: Long, long, long ago, the peaceful world of Skylands was disturbed by the forces of Darkness. Since then, Skylanders have fought to defend their home from evil. But what does the future hold for Skylands? 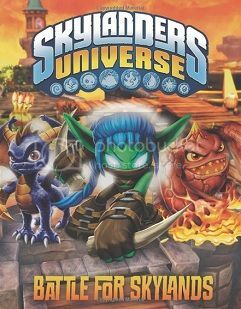 Get to know the Skylanders universe even better in this collection of games, puzzles, activities, comics, and original stories, including stickers, punch-out cards, and a fold-out poster. 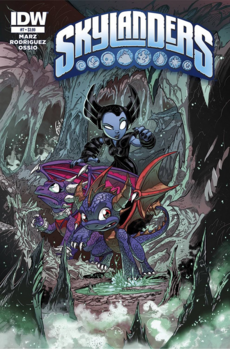 Summary: Younger fans of the Skylanders games and toys can continue the adventure in this 24-page 8x8 storybook starring Spyro and his dragon pals. When a fun afternoon turns competitive, can the dragons set aside their differences in time to save the day? Includes a sheet of colorful stickers. Info: When word reaches the Skylanders of a giant, ancient and deadly weapon, Spyro, Gill Grunt, Boomer and Eruptor set out to find it before the evil Kaos can get there first. 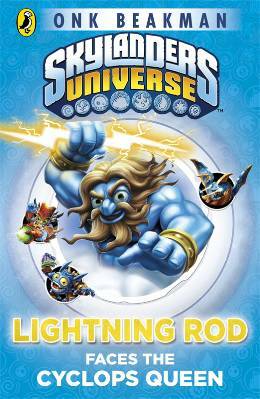 Can Master Eon's group of heroes use their Elemental powers to save Skylands from The Machine of Doom? 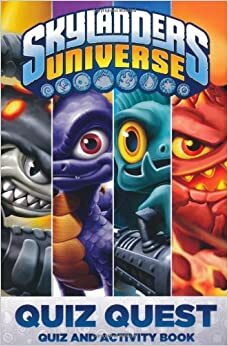 Find out in this hilarious and exciting novel starring the characters from the smash hitvideo game 'Skylanders: Spyro's Adventure'. Released on Ladybird Books in the UK, and September 6th in the US. 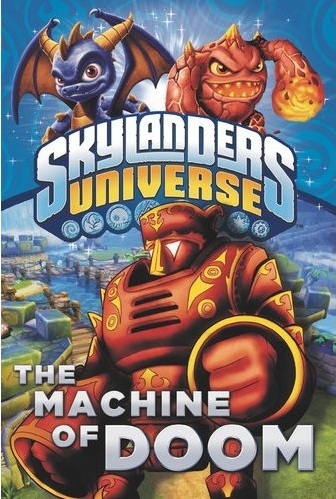 All Mask of Power Skylanders books take place after The Machine of Doom and before Skylanders: Spyro's Adventure! Info:Super-sized critters are popping up and causing havoc all over Skylands! Spyro and his fellow Skylanders set out on a mission to work out what's going on and save the day - but it seems the scheming Kaos is intent on beating them to it. Release Date: January 10, 2013, though released a month early in the US in Walmart. Info:As sea creatures gang up on the landlubbers of Skylands and the mermaids of Last Chance Cove abandon their underwater kingdom, Gill Grunt embarks on an incredible adventure. From the pen of Onk Beakman, based on the smash hit Skylanders video game, "Gill Grunt and the Curse of the Fish Master" is the second novel in the hilarious, enthralling "Mask of Power" series. Released on April 4, 2013 (Kindle Edition), October 17, 2013, in the US. Info:The greatest Storm Titan of them all is about to make a royal appointment with his biggest challenge yet. 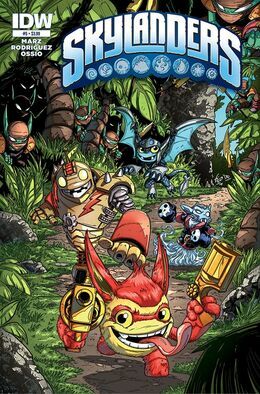 Lightning Rod teams up with Drobot, Double Trouble and Pop Fizz to journey to a far-off city where the locals have an eye for trouble! From the pen of Onk Beakman comes the third tale in the Mask of Power series, based on the characters from the smash hit Skylanders video games. Release Date: June 6, 2013, Kindle Edition. Info: Boom! When some innocent-looking sweet stuff explodes in a Gillman's face, it leads Terrafin on an amazing journey to the summit of Junk Mountain. Can he and his friends conquer Kaos or is Sky, the biggest brawler, about to meet his match? Based on the characters from the smash hit Skylanders video games, Terrafin Battles the Boom Brothers is the fourth tale in the thrilling Mask of Power series. Summary: Storm clouds are gathering - which wouldn't be unusual, if it wasn't for the fact that this is meant to be the Cloudless Desert! As weird weather reports flood in from all over Skylands, Cynder heads off on a mission to the Isle of the Undead to find out what's going on. Whatever it is, it definitely looks like rain! Summary: The Giggling Forest has been reduced to tears, the Skylanders have been double-crossed and Master Eon has been kidnapped! Step forward Stump Smash to head into battle - against one seriously angry dragon! Summary: He might be one of Skylands' fieriest characters, but even Eruptor feels a chill in his bones when he sees his own double frozen in ice! What starts with a cold snap leads to a red-hot adventure as everyone's favourite Lava Monster takes on a nightmarish opponent. 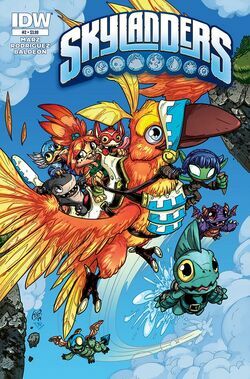 The secrets of the Mask of Power unfold further in this seventh thrilling tale based on the characters from the hit Skylanders game world. Summary: The race is on to reach the final segment of the Mask of Power! 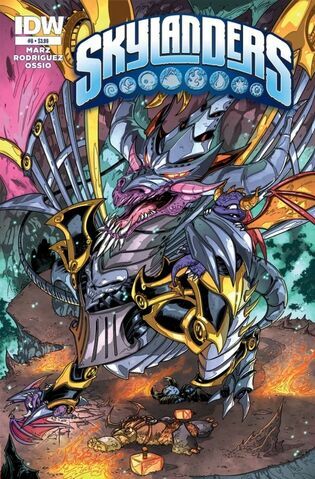 Can Kaos be stopped from piecing the Mask together and using it to terrorize Skylands? There's one giggling, gold-slinging gremlin who sure thinks so! 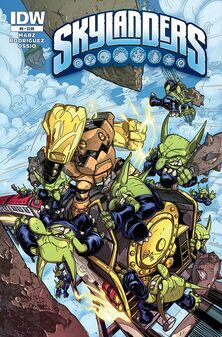 Join Trigger Happy and the other heroic Skylanders in this thrilling conclusion to the Mask of Power story series. Info: This book is written by Master Eon, featuring hints, tips, character profiles and all vital information on the locations of Skylanders: Spyro's Adventure. Info: The Skylanders are back! And so is their ethereal mentor, Master Eon, to guide all budding Portal Masters through the heroes, villains, places and power-ups to be found in their magical realm. Packed with hints and tips, and with a bit of myth and legend thrown in for good measure, this is the ultimate companion to the hotly-anticipated sequel: Skylanders Giants. Info: They're swappable! They're unstoppable! They're the Skylanders SWAP Force! Join your mentor, Master Eon, as he guides you through the heroes, villains, places and power-ups to be found in their magical realm. Packed with hints and tips, and with a bit of myth and legend thrown in for good measure, this is the ultimate companion to the hotly-anticipated third installment of the Skylanders video game series. 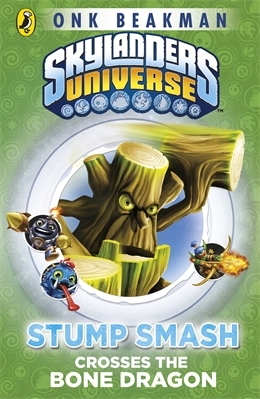 smash hit Skylanders videogame series! Each collectible Micro Comic Fun Pack contains a full stand-alone story as well as several collectible components! 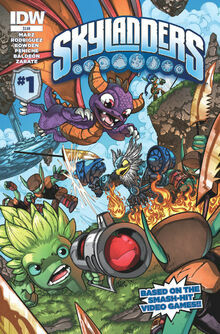 Each Micro Comic Fun Pack features a stand-alone story starring some of the most popular Skylanders characters. 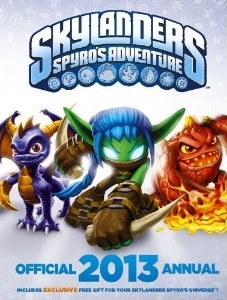 In addition, packs contain a poster and a two-piece collectible standee, allowing you to display your favorite Skylanders on a desk, computer or bookshelf. Summary - The brand-new, three issue story arc, "Legendary", concludes here! Join us for the conclusion of this special bi-weekly event as some of your favorite Skylander characters face grueling tests, outrageous challenges, and the vilest of villains to gain Legendary status! Summary - RETURN OF THE DRAGON KING BEGINS! One of Spyro's most malevolent and powerful enemies makes his Skylanders debut! And nothing Spyro or the rest of the Skylanders do can prepare them for the evil that is about to be unleashed! The return of CLASSIFIED!!! Summary - RETURN OF THE DRAGON KING CONTINUES! CLASSIFIED is back! 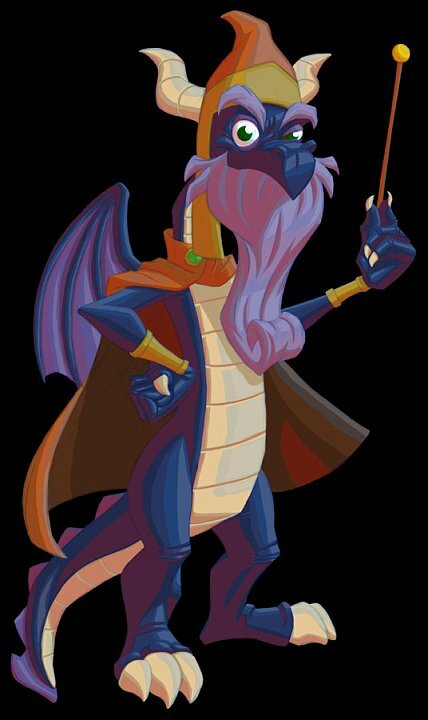 Only Spyro, Hex, and Cynder have the knowledge needed to defeat this arch-nemesis! Summary - "Return of the Dragon" concludes! Malefor revealed! Spyro's ancient foe returns in all his maleficent glory, more powerful and evil than ever before! Summary - New Characters, New Elements! New Storyline! Skylanders: A Light in the Dark starts HERE! Summary - New characters, New elements! 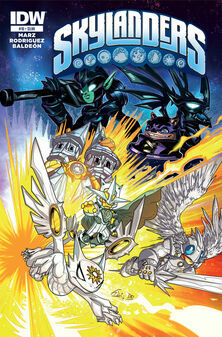 Skylanders: Light in the Dark concludes as we build up to next issue’s Season Finale! Info: The #1 kids videogame and hottest-selling toy, Skylanders, is coming to your bookshelf in all-new comic book adventures! 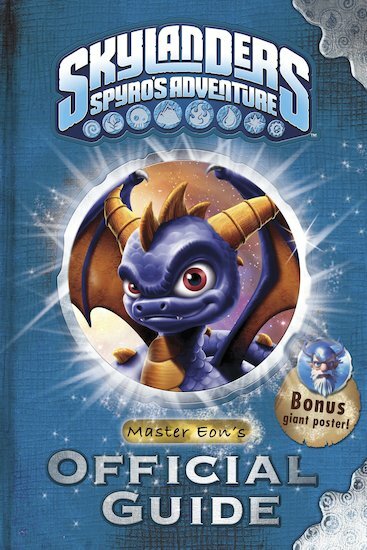 Join fan-favorite characters Spyro, Stealth Elf, Trigger Happy, and more in these original, never-before-seen stories that tie directly into the videogames. Info: "It's time to get "Legendary"! Join us for this special collection and marvel as your favorite Skylander characters face grueling tests, outrageous challenges, and the vilest of villains to gain Legendary status! 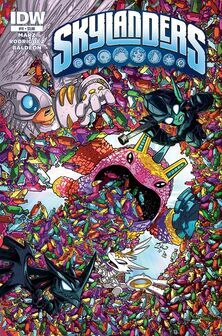 Deja Vu, Jawbreaker, and Blades all get the spotlight in this volume featuring more great stories from the world's first-ever Skylanders comic book series! Not enough? Did we mention that the "Secret Origin of Trigger Happy" is included?!" Info: One of Spyro's most malevolent and powerful enemies makes his Skylanders debut! And nothing Spyro, Hex, Cynder, or the rest of the Skylanders can do can prepare them for the evil that is about to be unleashed! The return of the first purple dragon, MALEFOR! Thanks Aura! I'm defiantly getting the Mask of Power series. 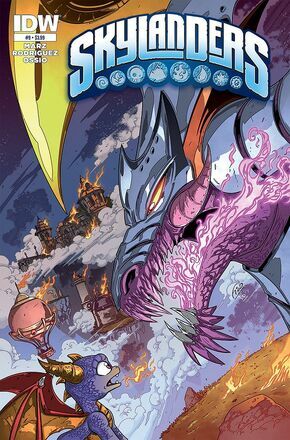 I love anything skylanders and the 3rd book has Pop Fizz in it!!!! You shouldn't need to reserve - the limit for first posts on stuck topics is triple that the limit for regular topics. Oh, well... it's for just in case. Because there are bound to be more books made in the future than the number we already know. Great thread! Definitely a good way to keep track. Maybe it would be a good idea to make this a complete publication thread and include things like the calenders, for example. You did forget a couple books though. I just got back from Walmart, and they had the new novel and book of elements out. The book runs 156 pages and does end on a kind of grim cliffhanger. It does have pictures like the first novel, and the cover shown above is not the cover for the book. So, if the covers for book 2 and 3 are the same as above, they won't be consistent with each other. I updated my last post. MANY MANY new upcoming books have been announced! GM, can you post a pic of what the new cover looks like? the Annual has everything the other book has, and more. The Fire and Water Book of Elements has a consistent look with the last book, right down to the side panel being exactly the same and flush with the last book. That will make it look good bookshelfed. I kinda like the look of this cover over the old one. What I don't get is why Gill Grunt is on the cover and not Jet-Vac and/or drill Sergeant like on the 'prototype' cover. I'm glad to hear that the Book of Elements series is consistent with one another. What about The Machine of Doom to The Mask of Power? Are they the same physical size? So, we know that The Machine of Doom was a prequel to Spyro's Adventure, but where does The Mask of Power series fit in to the 'Skylanders Timeline'? Is anyone else as excited as I am for Master Eon's Official Guide to Giants? I really enjoyed the first one for Spyro's Adventure. Does anyone have the Universe code that comes in the 2013 Annual? The story does focus on Drill Sergeant, Stealth Elf, and Jet-Vac is in there (I saw pics of him). The new cover is consistent with the cover of the first novel, so here's hoping they do this with all novels. On the side panel of the book (trim? ), it says number 1 at top, indicating it's the first of 3 books. EDIT: Oh, and Walmart was selling the novel for 5.09, and the book of elements for 5.94 (or it could have been 5.49). By the way, it is the first of AT LEAST 4 books! I want all the books. I thought it was 3? Oh, well, the more the merrier. Fourth one was just announced, along with many other new books. Check my first post in this thread. 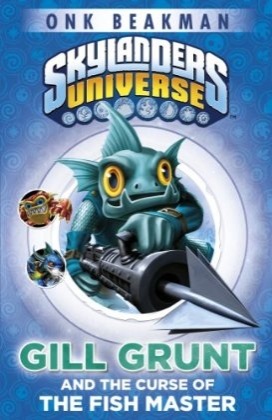 So is Gill Grunt part of the story in Spyro versus The Mega Monsters? 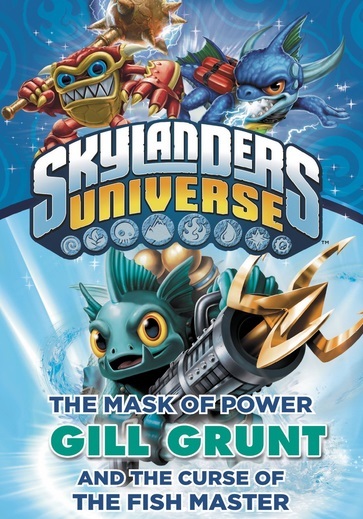 Gill Grunt and the Curse of the Fish Master is part of the Mask of Power Skylander novel series. "Winning isnt everything, but losing is NOTHING!!!" ^ The cover that you see online is basically the 'prototype cover'. The cover of GM's book is the official cover. The release date for both is supposed to be in January, but like with many Skylander products, street dates often mean nothing. Two listings for the same book? That is very strange. @ Vortimous: The first listing is definitely the correct one. The one that matches the cover of GM's. I found a few release dates on Barnes & Noble's website. Barnes & Noble is almost always right with the release date of books. Book of Elements: Fire and Water and The Mask of Power: Spyro Versus the Mega Monsters comes out on January 10th, 2013. 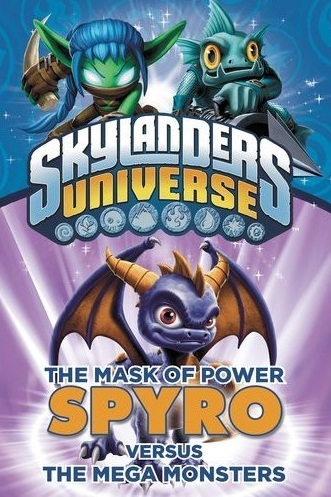 The correct cover for The Mask of Power: Spyro Versus the Mega Monsters is pictured. 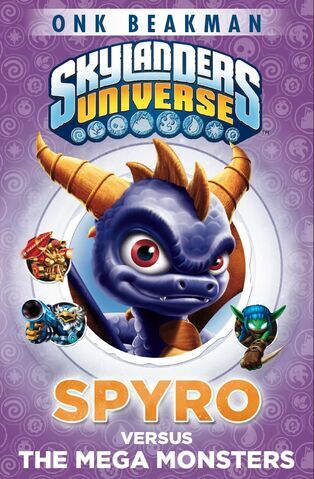 Ultimate Sticker Collection: Skylanders comes out on June 3rd, 2013. 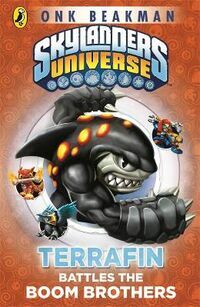 Skylanders Giants: Master Eon's Official Guide and Skylanders Universe Mad Libs comes out on June 27th, 2013. Cavan Scott confirmed that all Mask of Power books take place after The Machine of Doom and before Skylanders: Spyro's Adventure! The 'prototype' cover isn't actually a prototype cover. It's the UK one. Not sure why Gill's on the front. Perhaps he threatened to sing unless they put him on the US one? And Mr. Cavan, if you want to add in new content to your posts, you can use the Edit button on the bottom right side of your comments to add in new words to your comments. This avoids double posting. Sorry, didn't know they double posted. Could only see one each. One problem. The title says "Spyro vs The Mega Monsters" but it shows a picture of Skyro. Cavan must have his hands full doing the novels and a few books set to be released in several months each. 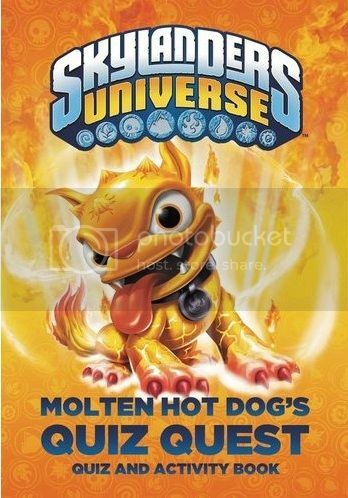 You think they're going to add the new Skylanders in the Element books? Are they in the already released one? I don't have it yet. I'm not sure, haven't got it yet. But I noticed Fright Rider is in the upcoming Undead and Life Element book. 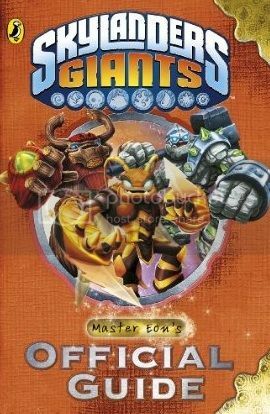 Right, so I would like to think that the new Skylanders and Giants are in every book. If they are in all future releases and not in Magic & Tech, then that would be really really strange. I read how Double Trouble is able to make exploding clones because he drank a potion he thought was supposed to double ones power, and I was wondering, is the potion that Pop Fizz has is the one he was looking for? And sorry in advance if Im trolling, I thought this would be the most appropriate thread for my question. Double Trouble's official biography says he ate a rare lily that was said to multiply the power of any spell. Aura. I see you updated the first post with a new cover for the Giants Guide. I think that is the UK cover and the other with Bouncer, is the US cover. You might wanna add it back in and say which is which so people know. But that was the draft cover, it would change sometime in the future. Finaly, there needed to be a thread like this. I honestly like the newer cover for 'Spyro Vs The Mega Monsters'. I'm not sure if it is common knowledge but Eons Official Guide for SSA is available in both paperback and hardback. I only found out yesterday and I didn't know if anyone else knew as I haven't seen it discussed. Also the new concept art for Book of Elements Magic and Tech puts it in the Skylanders Universe line instead of SSA. This would be because all of the books going forward would be branded under Skylanders Universe but I haven't actually seen the Magic and Tech with the new branding in the wild. Has anyone else? Any pics? Which Skylanders do you think will be the title characters for the next several Mask of Power books (they're going by the seven elements)? There is already Magic for Spyro, Lightning Rod for Air, and Gill Grunt for Water. I think Cynder should be the title character for Undead, Stealth Elf for Life, Hot Dog for Fire, Terrafin for Earth, and Boomer for Tech. No, it is definitely the UK cover. It has the Penguin symbol in the top left corner, just like the UK editions of The Mask of Power series. Oh and I got the annual for Christmas!